Iran’s supreme leader says Iranians should not trust the US and other “small and big enemies” of the country during commemorations of his predecessor, who led the country through the 1979 Islamic Revolution. “We have many small and big enemies, but foremost among them are America and this very evil Britain,” Supreme Leader Ali Khamenei said in a televised speech dedicated to the 27th anniversary of the death of Rouhollah Khomeini, who was the first person to hold the highest office in post-revolutionary Iran. The driving force behind the 1979 revolution was public outrage with Iran’s Shah Mohammad Reza Pahlavi, who had strong support from the US and the UK while using secret police and martial law to subjugate his people. Under his reign a CIA coup overthrew Iran’s elected government in 1953 for nationalizing UK-owned oil companies. “It is a huge mistake to trust evil Britain and the Great Satan,” he added, referring to the US by a nickname often used by Iranian officials in anti-American speeches. “Any individual or current which is working for Islam, if they trust America, they will be slapped in the face,” he said. 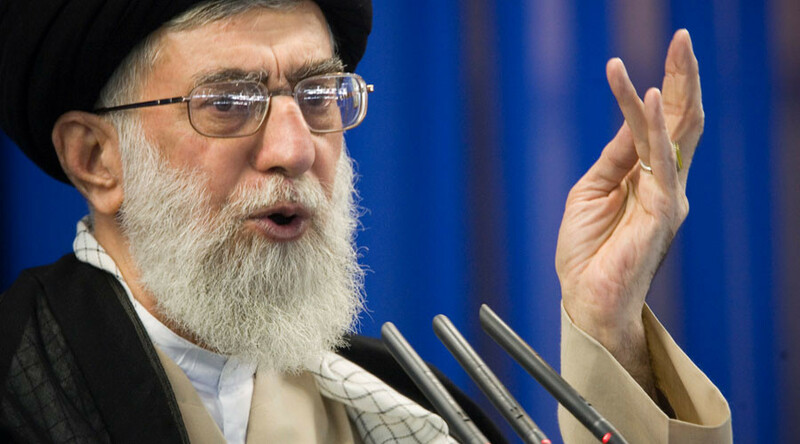 The Iranian leader said Iran would not cooperate with the US in regional affairs, because “their aims in the region are 180 degrees opposed to Iran's." Iran and the US have a common enemy in the region, the terrorist group Islamic State (IS, formerly ISIS/ISIL). The US is leading an international coalition, which uses airstrikes and commando raids in an effort to eradicate IS powerbase in Iraq and Syria. Tehran provides commanders for militias fighting against IS in Iraq and Syria and is a major ally of the Syrian government. The US on the other hand said it wants the Syrian government ousted and had been supporting armed groups in Syria, which Washington deems moderate. A period of eased tension between the US and Iran followed the signing last year of a nuclear deal, under which Iran scaled down its nuclear program in exchange for lifting of economic sanctions and technical expertise from foreign nuclear powers. 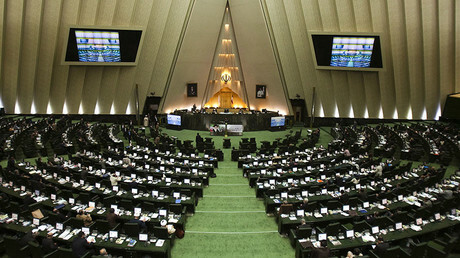 Khamenei, who voiced skepticism over the deal, despite not interfering with its negotiation, has since repeatedly accused the US of not holding its end of the bargain.